Add security to decks, patios, walkways, balconies or pools, we do it all. 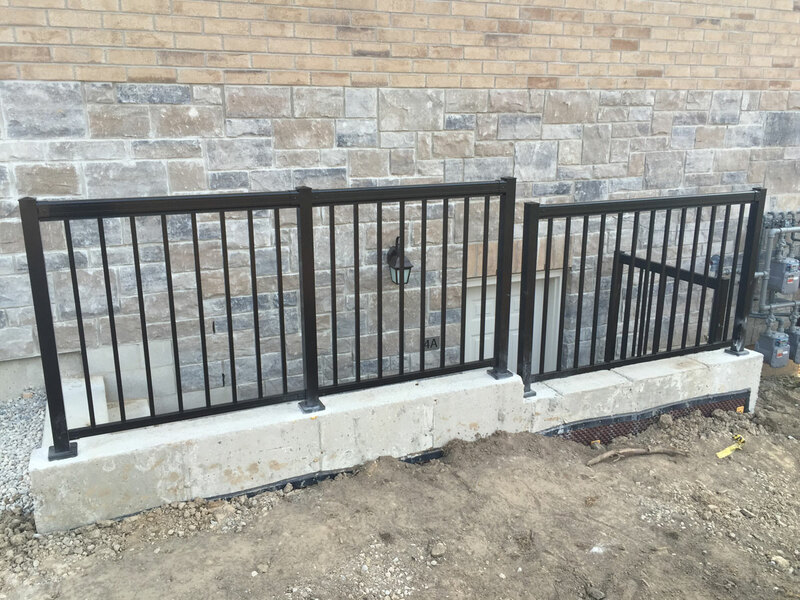 Premier Fencing can bring you superior railing systems and high quality installation services on your next project. 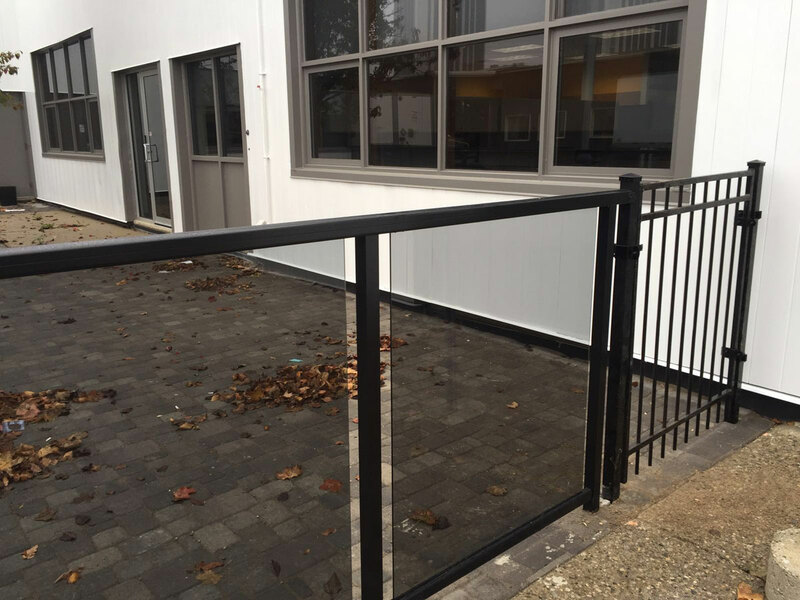 You can feel confident when you use our railing systems for any residential or commercial application. 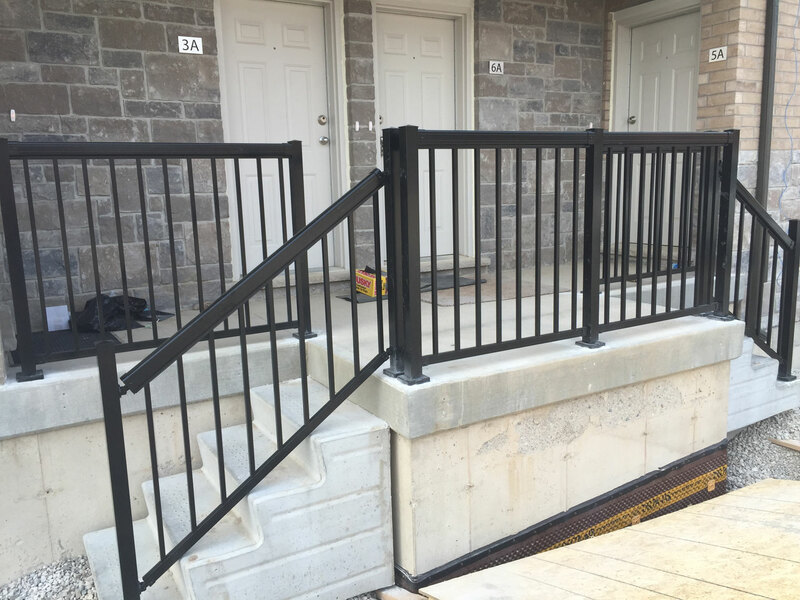 Our railing installers pride themselves in using only the best available, and innovate materials in the industry. Your safety and the safety of your guests is as important to us, as is your satisfaction with our finished clean cut deck railing installation, or porch railing installation. 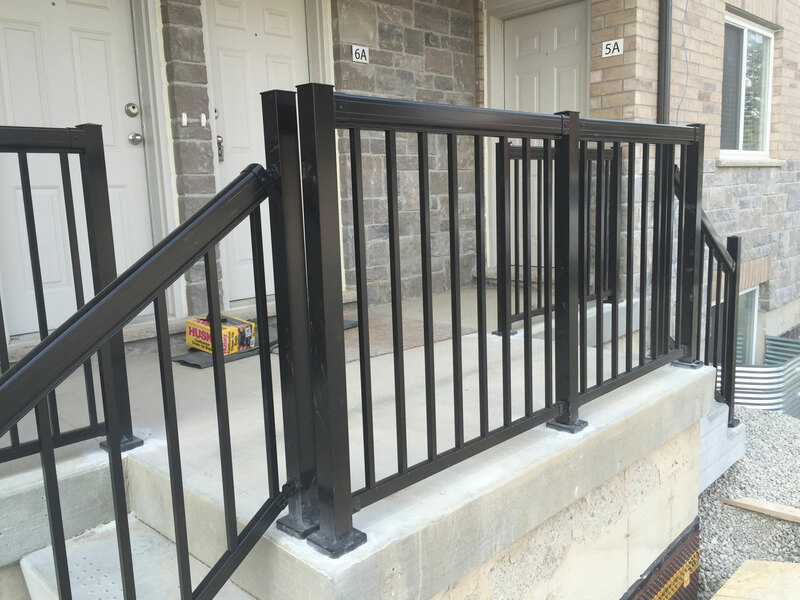 Providing a durable and long lasting railing, to suit your needs and budget, is the number one priority of our railing installation division. We stand behind our services. Our commitment is to you, our customers, and we back those services with a two-year warranty on all of our railing installations by our trained railing installers. A Variety of Options We offer an enormous selection of quality products for all railing applications. Our educated team will walk you through this process and complete the railing design you have chosen to finish your space. Porch railings and deck railings are available in a variety of different styles and colors. Our railing installers can help you choose the appropriate color to match or contrast your current color scheme. Create a dramatic effect with a bold color choice or a warm feel with a color that blends and brightens. The options are nearly limitless. Our team of deck and railing installers are dedicated to finding the right match for your home at a price you can afford. We will help you choose the best product for your home or business, with the maintenance requirements suitable to your expectations. From wood to aluminum to modern frameless glass systems, our staff is trained to provide a professional, and high quality installation for our customers. 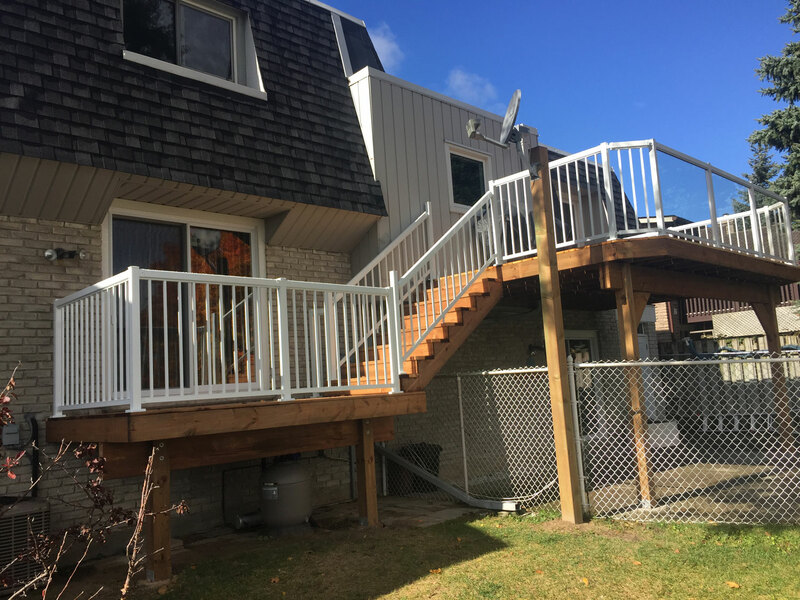 Whether you require deck railing installation or porch railing installation, our expert railing installers provide free, no obligation estimates. No area is too big or too small. Railings can be the perfect finishing touch. 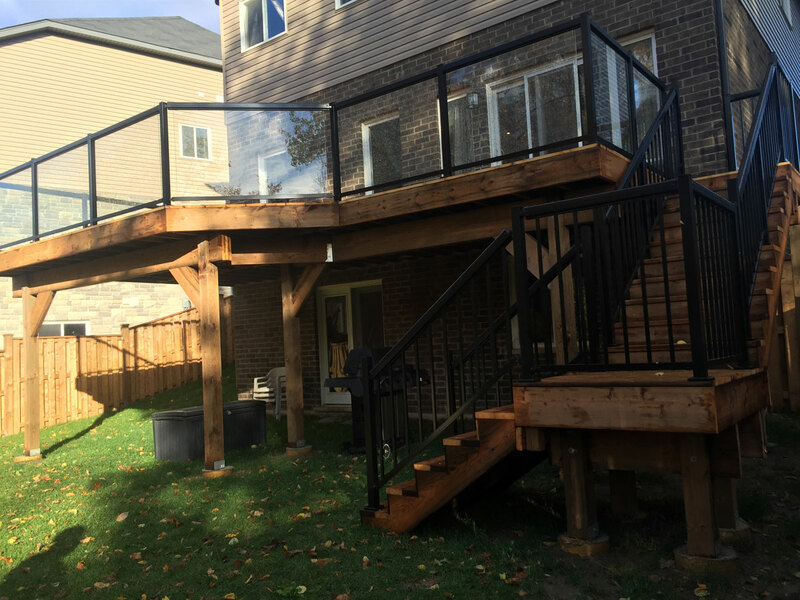 Whether you are enclosing a deck or pool, finishing a walkway, or adding additional safety to a deck, railing installations are the perfect complement to any home. The right railing installation is the perfect way to make over your space. 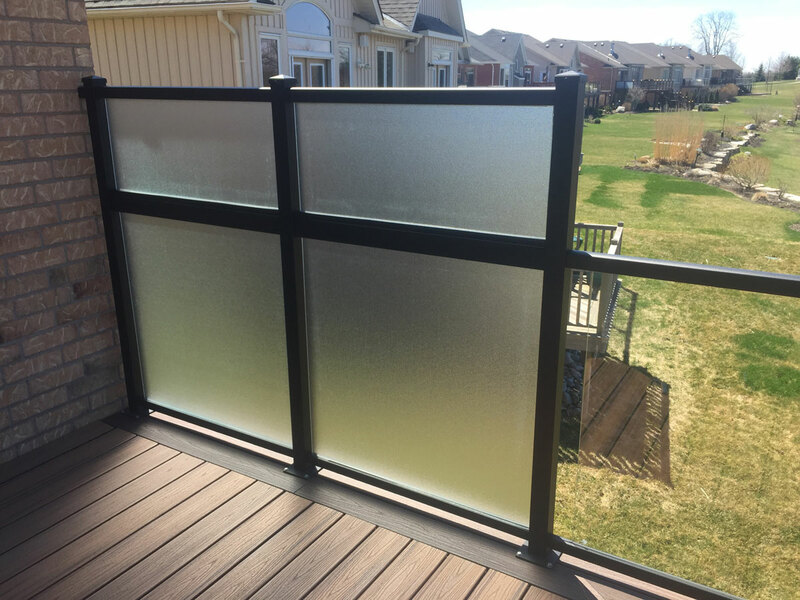 Whether wood, aluminum, vinyl, glass, we have the perfect material and design to enclose your area while giving you a feel of open space. Railing installations are not just practical, in most cases they are a necessity. Railings can redefine the appearance of a home or backyard. While safety is of the upmost importance, you don’t have to jeopardize your homes appearance and curb appeal. Your front entrance is your homes first impression. It can impact the value of your home. Create a clean crisp look to your front entry. Portray a warm, welcoming curb appeal with a traditional porch railing installation. Want style and protection without blocking a beautiful view? Aluminum with glass porch railing systems can complete a sharp modern look while black aluminum balusters create a simple and refined look. The options to transform your deck with a custom railing design are limitless. Enclose your pool with a railing installation for safety for young children and guests. Support stairways with the addition of a deck railing on your multi-level back deck. Spice up your back yard with new modern materials and designs that will really breathe a modern look to your yard. We have the perfect railing system for your home. Let our friendly and skilled railing installers transform your ideas into a railing installation system your neighbors will want and envy. Let us help you add safety and style to your home or commercial property. Take advantage of our free estimating service from our friendly and knowledgeable railing installers! Get started today, contact our sales desk at 519-749-8872 or by email at sales@premierfence.ca for more information and to arrange an estimate. If you are in the area feel free to drop by the office at 480 Conestoga Rd., Waterloo. Put your safety first and change the look of your home now!